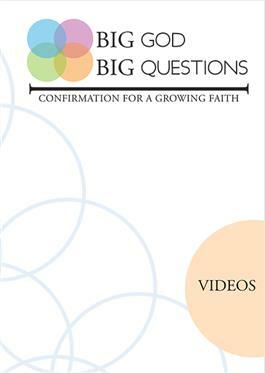 See and hear a variety of Presbyterians reflect on the themes and questions in Big God Big Questions: Confirmation for a Growing Faith. Twelve short videos introduce confirmands to Presbyterians in Ely, MN, Jamaica, NY, Atlanta, GA, Lima, Peru, and more! Also available in a DVD format. - The DVD version of the videos is the best option for viewing with projection or any large screen. use, and sharing with students and mentors.